"I want to study in a Yeshiva in Israel just like every one else"
High School graduates. Special Needs High School students deserve no less. They have strived and worked hard to become more independent and dignified individuals. 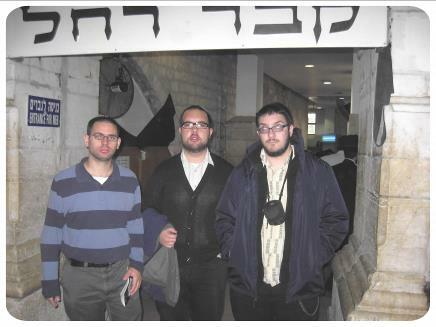 At last there is a Special Needs Yeshiva in Israel, Yeshiva Bnei Simcha, that for the past five years has combined spiritual Torah learning, mainstreaming, and the healing process. Where in a loving and caring environment the students learn to grow and develop at their own pace. Where they become rather than imitate, where loving kindness is the rule rather than the exception .Where individual attention and caring are the norm. by clicking the “Donate” button below.